Very clean and well maintained 4-Winns 238 Vista. 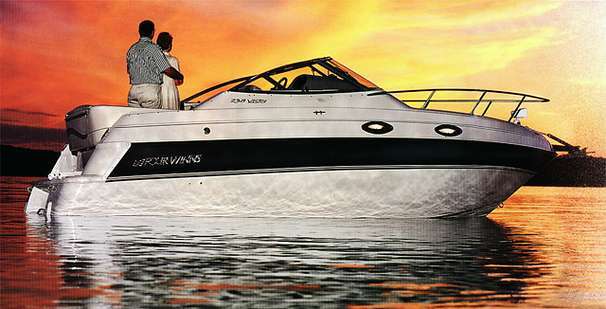 Comfortable pocket express cruiser with abundant amenities and sleeping for four. Equipped with a 5.0l Volvo Duoprop stern drive. Features include galley with Microwave, AC/DC Fridge, Single Burner Cooktop and sink. Enclosed Head with Hot/Cold Water, Manual Flush Head w/Holding, and Shower. Other features include Camper Canvas, battery Charger (new 2018), Shorepower w/Cord, Garmin GPS, VHF Radio, Depth Sounder and Tandem Trailer.